What are signs and symptoms of diffuse idiopathic skeletal hyperostosis? How do health care professionals diagnose diffuse idiopathic skeletal hyperostosis? What is the outlook (prognosis) for patients with diffuse idiopathic skeletal hyperostosis? Is it possible to prevent diffuse idiopathic skeletal hyperostosis? DISH is characterized by unique, flowing calcification along the sides of the contiguous vertebrae of the spine. Symptoms of DISH include intermittent pains and stiffness in the areas of the bony changes of the spine and inflamed tendons. DISH is diagnosed when the characteristic flowing calcifications are detected with images of the spine, such as in plain film X-ray methods. Nonsteroidal anti-inflammatory medications (NSAIDs) can be helpful in both relieving pain and inflammation of DISH. Diffuse idiopathic skeletal hyperostosis (DISH) is considered a form of degenerative arthritis or osteoarthritis. However, DISH is characterized by unique, flowing calcification along the sides of the contiguous vertebrae of the spine. And, very unlike typical degenerative arthritis, it's also commonly associated with inflammation (tendinitis) and calcification of tendons at their attachments points to bone. This can lead to the formation of bone spurs, such as heel spurs. In fact, heel spurs are common among individuals with DISH. DISH has also been called Forestier's disease. It is not known what causes DISH. DISH is associated with the metabolic syndrome and is more frequent in people with diabetes mellitus. I have just been diagnosed with diffuse idiopathic skeletal hyperostosis (DISH). I'm currently taking antiinflammatory medications. Are there any exercises and/or nutritional suggestions that will also help? You must consult your doctor for the proper advice for your particular situation. Because DISH can cause loss of range of motion of the spine, exercises that involve stretching the spinal range of motion can often be beneficial. Physical therapists are specifically trained to provide instructions in this area. Because areas of the spine and tendons can become inflamed, anti-inflammatory medications (NSAIDs), such as ibuprofen (Advil, Motrin) and naproxen (Aleve), can be helpful in both relieving pain and inflammation of DISH. It is hoped that by minimizing inflammation in these areas, further calcification of tendons and ligaments of the spine leading to calcific bony outgrowths (osteophytes) will be prevented. DISH often causes no symptoms, and the long-term outlook is generally good. DISH can lead to limitation of range of motion of the spine. There is no associated threat to any internal organs with this disorder. Rarely, large bone spurs can form in front of the spinal vertebrae of the neck. These spurs occasionally interfere with the passage of food through the upper esophagus (swallowing tube). There is no prevention of DISH. What are your DISH symptoms and signs? What treatment(s) have you received for DISH? 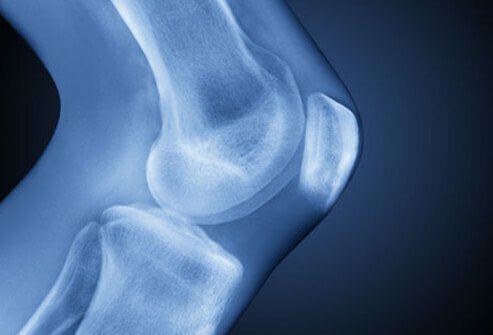 The area where ligament or tendon inserts to bone is called the enthesis. Inflammation of the enthesis is called enthesitis. An abnormality of the entheses is referred to as enthesopathy. Swelling, stiffness, pain, and warmth are symptoms of enthesitis and enthesopathy. Treatment involves anti-inflammatory drugs, rest, and applying cold packs.